Following the success of its original English-language television programming, Carnival Corporation is stepping up its game. The cruise brand recently teamed up with Univision Communications Inc. (UCI) to develop its first Spanish-language show dedicated to the Hispanic market in the U.S.
“La Gran Sorpresa” (The Great Surprise) will air on Sundays at 8 p.m. ET/PT and 7 p.m. CT starting January 7, 2018 on the Univision Network. “Based on the exceptionally positive viewing results that exceed all other travel-related shows and the increased interest in cruise vacations our shows continue to generate, we are very excited to partner with Univision on ‘La Gran Sorpresa’ and build on their strong connection with the Hispanic community,” said John Padgett, chief experience and innovation officer for Carnival Corporation, in a press release. The TV program will be Carnival’s first primetime series, and the one-hour show will be hosted by award-winning television personality Poncho de Anda. He will also be joined by Univision Deportes’ Karina Banda and “Despierta America’s” Franscisca Lachapel, as well as Maity Interiano and Ligia Uriarte from the network’s primetime dramedy, “Mi Marido Tiene Familia” during the first six episodes. The program’s narrative focus will be on how travel can reunite families overcoming difficulties with illness, separation and more. The first season will surprise families onboard the Carnival Cruise Line, Princess Cruises and Holland America Line brands sailing to the likes of Cozumel, Mexico; Mahogany Bay, Honduras; and Half Moon Cay, Bahamas. “We are thrilled to deliver the power of Univision Studios and our beloved personalities to bring ‘La Gran Sorpresa’ to the leading Spanish-language network in the country,” said Steve Mandala, president of advertising sales and marketing, UCI, in the release. “Our partnership with Carnival Corporation and its award-winning cruise line brands will further deepen their efforts by engaging Hispanic America with stories that resonate and unite families." “La Gran Sorpresa” marks Carnival’s seventh Ocean Original series and fifth to be presented on network or cable TV in the U.S. Like the others, it is intent on building awareness and demand for cruise vacations. Cruising is growing 20 percent faster than land-based alternatives, and more people are sailing in 2017 than ever before. 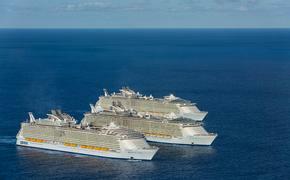 Given the company’s three other current shows are achieving first or second rankings in their time slots, they can only be contributing to cruising’s current success. Carnival’s trio of English-speaking shows are “Ocean Treks with Jeff Corwin” and “Vacation Creation with Tommy Davidson and Andrea Feczko” on ABC, as well as “The Voyager with Josh Garcia” on NBC—all now in their second season. Carnival also presents the over the top (OTT) digital streaming channel OceanView for distributing free content on Amazon Fire TV, Apple TV and Roku. Exclusive to the service are direct-to-digital streaming original series, “GO” and “Local Eyes.” Also available are over 100 episodes of the company’s other network and cable TV shows. 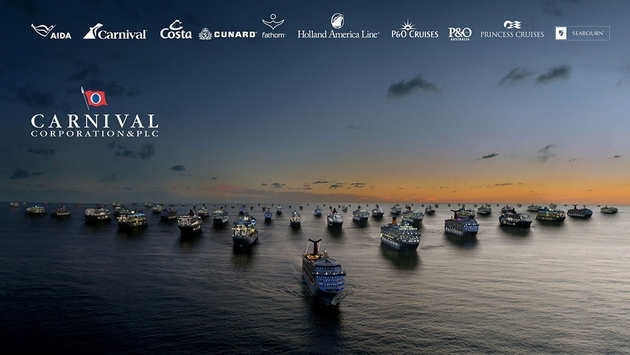 OceanView content can additionally be viewed on over 80 of Carnival’s 103 corporate ships.